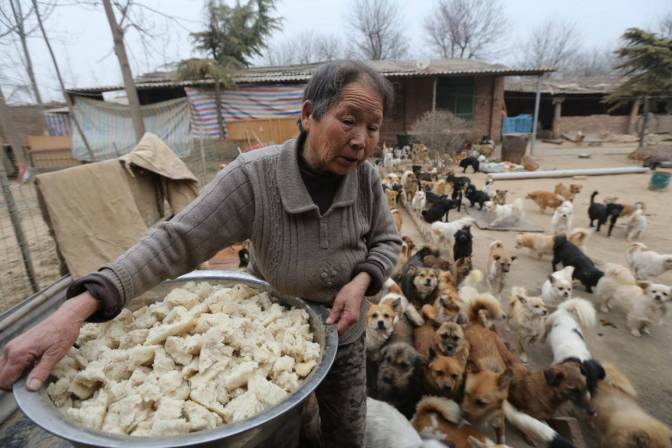 Five elderly woman in China took care of more than 1,300 stray dogs who have no one else to look after them. 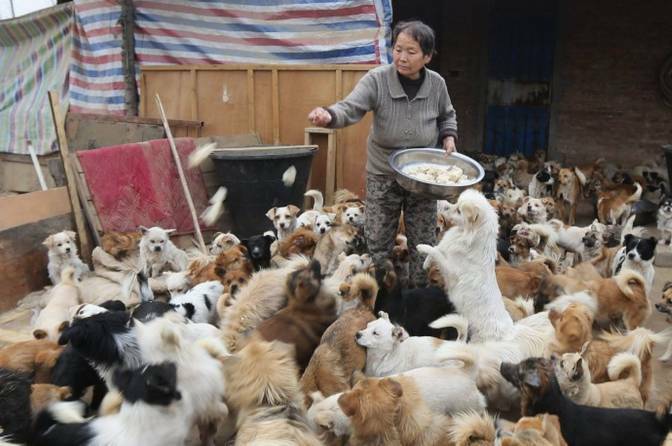 The woman have been taking care of the dogs for nearly six years. 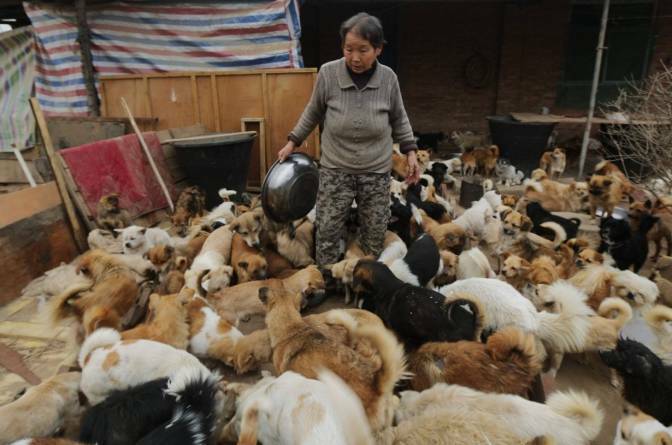 Wang Yanfang, 60, started taking in dogs about six years ago. She said it was to save them from the pound and uncertain fates. The shelter is completely volunteer run. In short matter of time, she took in more strays than she could care for by herself. 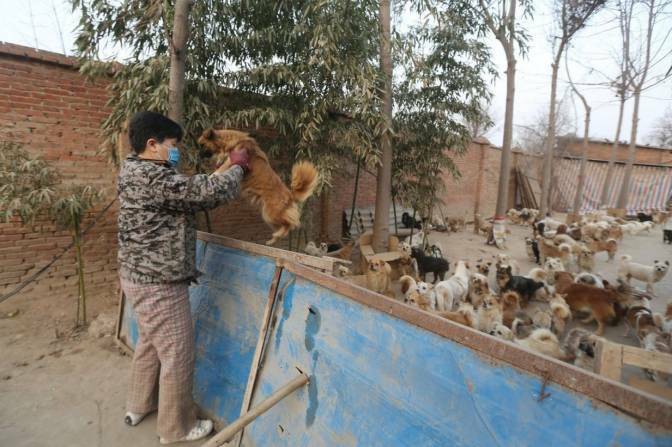 According to CCTV she found four more volunteers (all in their 60s or 70s) to help take care of poor pups. 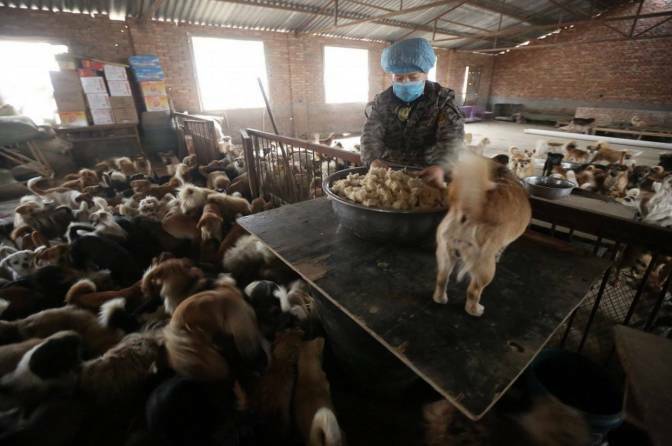 The woman rely on donations to buy food for the dogs who go through several hundred pounds of it a day. It’s not easy taking care of so many animals. The women typically wake up at 4 a.m. to start preparing food for the dogs. Of course, they also have to deal with dog bites as some of strays are less civil than others. When Wang started the shelter in 2009, China had introduced a “one dog rule.” Families could only own one small dog. The dog also had to have documentation, such as a permit and proof of a rabies vaccination. The policy resulted in an influx of strays in the area. 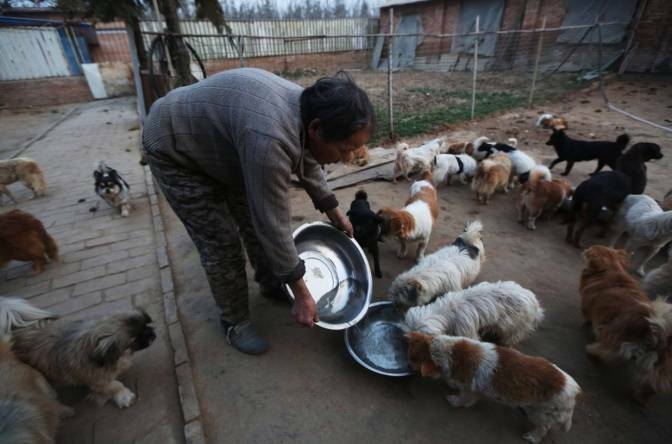 In a nearby city, Hanzhong, authorities also culled about 37,000 dogs after a rabies outbreak. It makes you wonder how many of these lucky pooches would be around if it weren’t for these amazingly kind women.